Too many women make the mistake of not following through on critical post-divorce actions that can have significant financial consequences. WASHINGTON — Your divorce is finally final, and you’re ready to move on. It’s understandable that you’ll want to put all of the legal work, paperwork and distraction behind you and get back to living your life. However, too many women make the mistake of not following through on critical post-divorce actions that can have significant financial consequences. All too often, women tell us they just don’t know what they need to do. 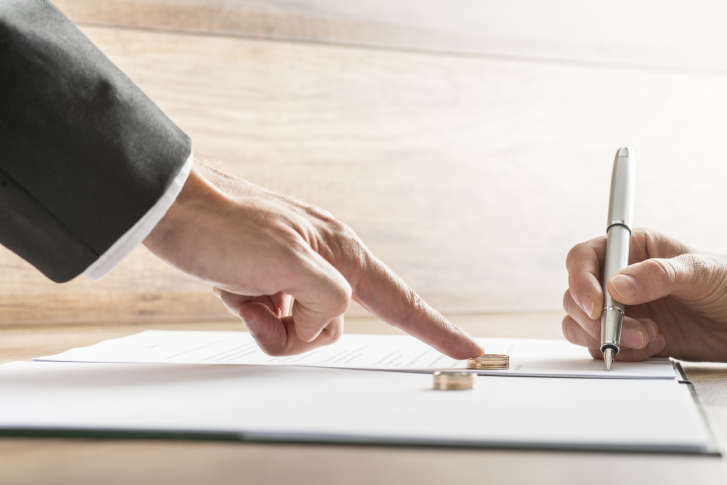 Surprisingly, many of the post-divorce actions in your divorce decree don’t require legal representation, meaning your lawyer won’t be directing you or providing you with reminders. You and your ex-spouse will be responsible to get these things done. That’s why we developed our Her Wealth “Moving On” checklist. It’s designed to be very thorough and to help you think through the next steps. Not all of these actions will apply in every case; its goal is to list all of the things you should consider, so nothing is missed. The checklist is arranged into sections based on such things as division of property and executing the divorce decree; child-support; tax management; and estate-planning. For example, when it comes to dividing property after a divorce, having properly written documents for the transfer of retirement assets is critical to making the transfer free from income tax. If your situation includes pension plans, you need to pay attention to the details related to the execution of the asset split, because the rules differ according to each plan’s regulations. You should update your will and powers of attorney and remember to change beneficiary designations on IRAs, 401(k)s and insurance policies, because whomever you have named on those pieces of paper will get that money, not whom you designated on your will. I have worked with clients who found out too late that the ex-wife was getting their spouses’ IRA money. Particularly in the case of minor children, there may be a need to create a testamentary trust and to designate a trustee to ensure proper inheritance and financial management in case a parent passes away before the children reaching adulthood. The “Moving On” checklist lists the actions that are more technical and that may require the expertise of financial professionals such as a CPA, financial adviser or insurance agent. For instance, if you are receiving alimony and you are not working, this qualifies as income. You may be eligible to make IRA contributions based on that income subject to IRA income limits. You should also review your investment strategy now that you are responsible for making those decisions yourself. Take some time to consider your financial goals to determine if your current allocation is in line with them. It’s also important to consider any potential tax ramifications before making changes to your portfolio. You may want to consult with a financial adviser before making these changes just to be sure. Finally, the “Moving On” checklist outlines the things you can do over time, especially if you are changing your name, such as applying for a new Social Security card and passport, or putting your bank accounts and credit cards in your new name. There’s a lot to consider. We know because we have been through this process many times with many clients. The “Moving On” checklist will help you move on to the next phase of your life, confident that you haven’t left important issues undone.